This beautiful blanket is perfect for your little one. This blanket is made with extraordinary soft fabric on both sides. 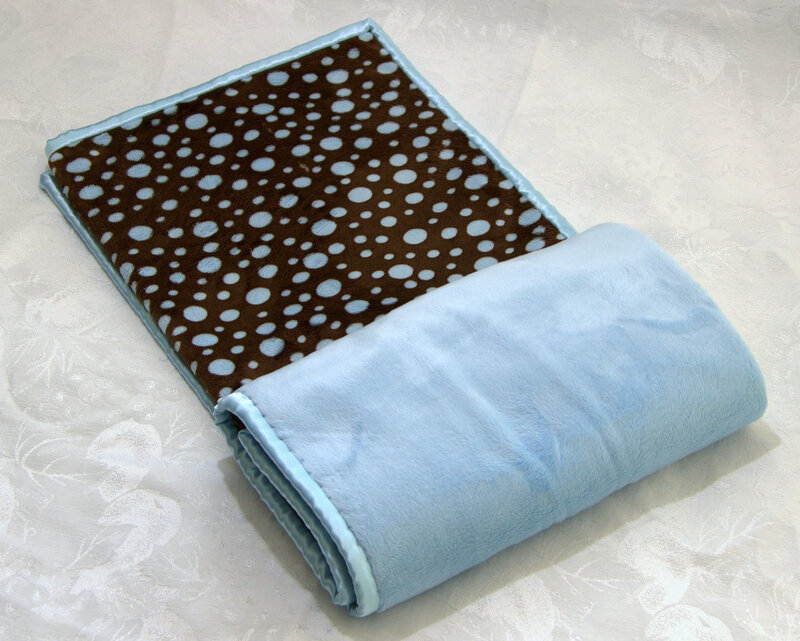 One side is a rich chocolate brown with light blue dots. The other side is an amazingly soft blue fabric. A soft blue satin border surrounds the blanket. Size: This blanket measures 29" x 33.5"
Materials: The fabric is 100% polyester and the satin border is 70% polyester/30% cotton.